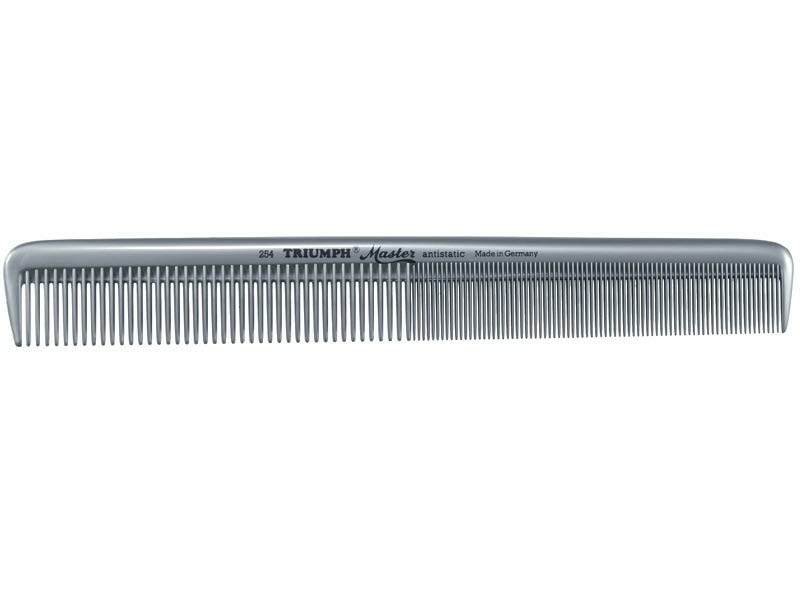 Triumph Master hair comb features almost indestructible design and meets the highest professional standards. 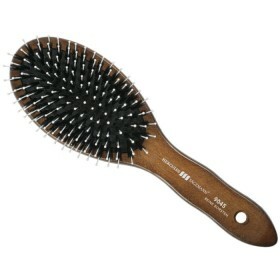 It is crafted in Germany in high quality moulding tools and is free of coarse, hair damaging burrs. 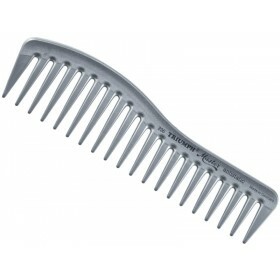 The comb is made of special plastic compounds which add excellent elasticity for perfect gliding. 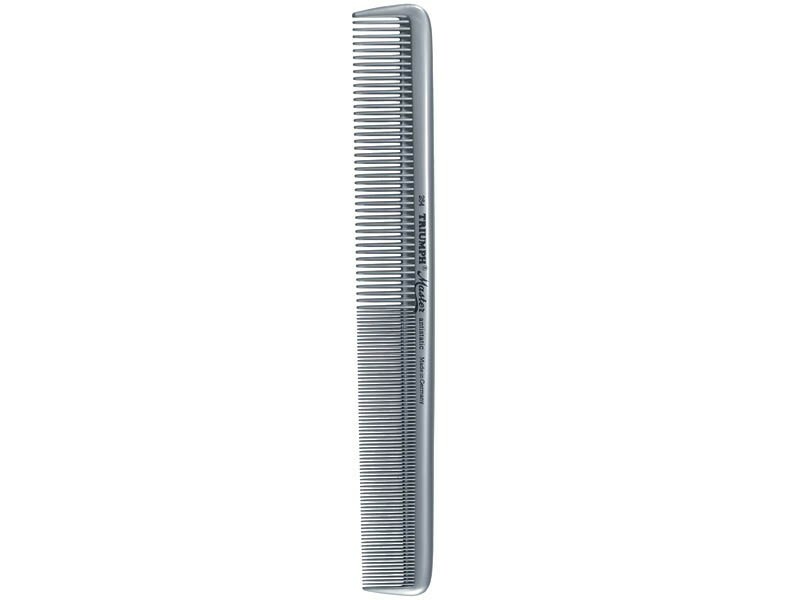 It can be used for hair cutting and general styling – the combination of wide and fine teeth makes it a truly indispensable working tool in the hairdressing kit of any master or hair enthusiast. 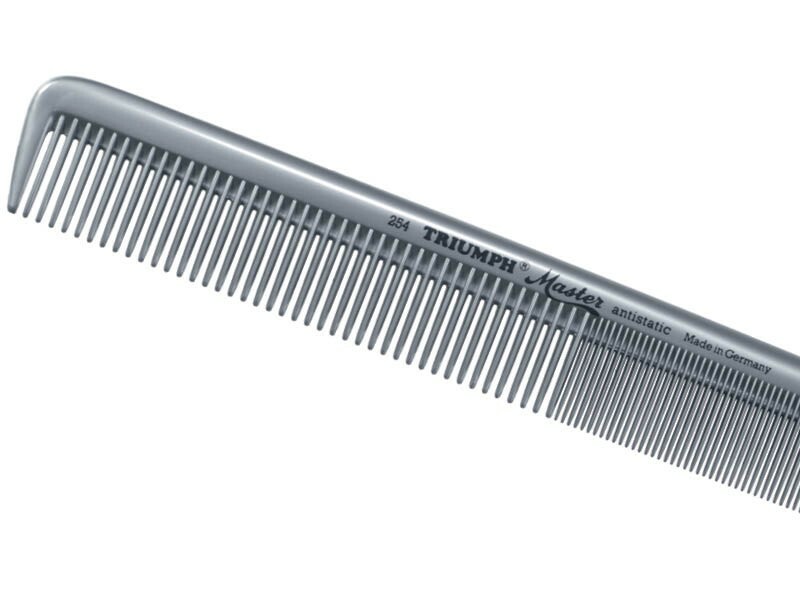 Triumph Master multipurpose hair comb is crafted in Germany by one of the world's oldest manufacturers of exclusive combs and brushes. 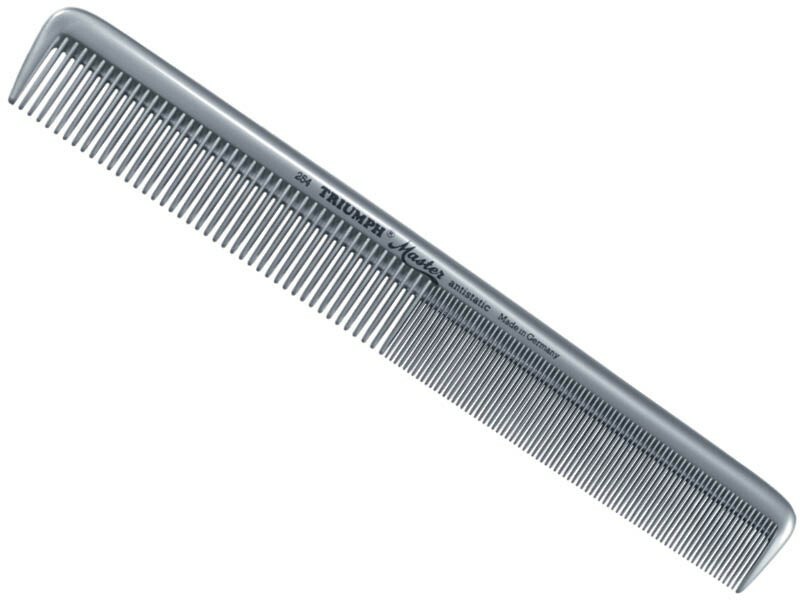 Since 1856, Hercules Sagemann has been producing premium combs and brushes that offer maximum protection to the sensitive cuticles and are resistant to breaking. 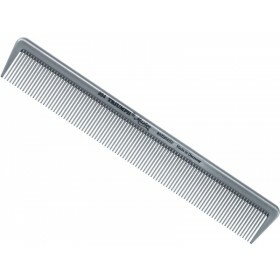 Triumph Master hair comb with wide and fine teeth proudly continues these traditions. 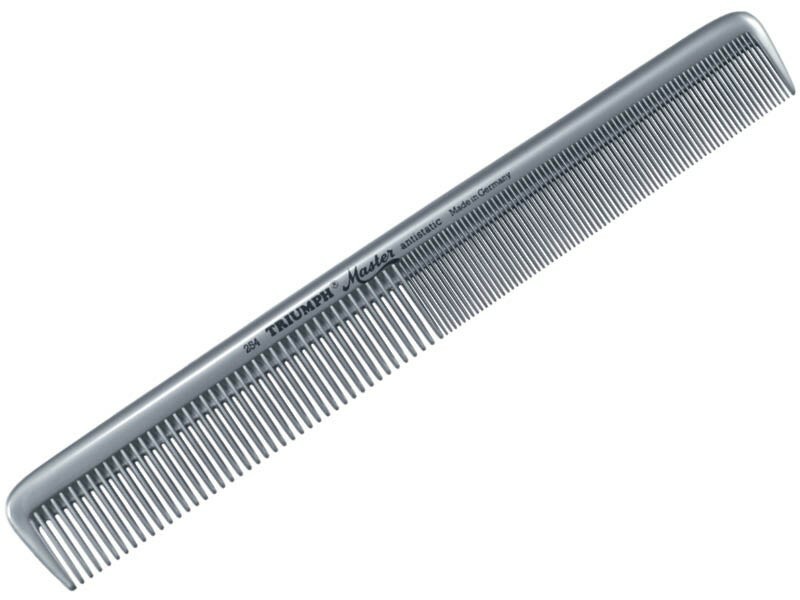 It is moulded into its final shape in a single production step and does not have coarse burrs that would rip or pull hairs. 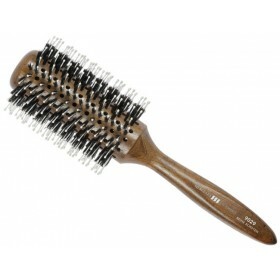 Excellent gliding ability and antistatic effects make it perfect for smooth combing through wet and dry hair.